For the library in Glasgow, Scotland, see Mitchell Library. The State Library of New South Wales, part of which is known as the Mitchell Library, is a large heritage-listed special collections, reference and research library open to the public. It is the oldest library in Australia, being the first established in New South Wales (now a state of Australia) in 1826. The library is located on the corner of Macquarie Street and Shakespeare Place, in the Sydney central business district adjacent to the Domain and the Royal Botanic Gardens, in the City of Sydney, New South Wales, Australia. The library is a member of the National and State Libraries Australasia (NSLA) consortium. The State Library of New South Wales building was designed by Walter Liberty Vernon, assisted by H. C. L. Anderson and was built from 1905 to 1910, with further additions by Howie Bros in 1939; by FWC Powell & Sons in 1959; and by Mellocco Bros in 1964. 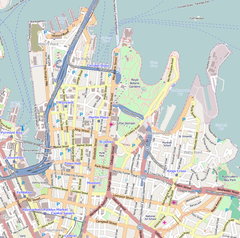 The property was added to the New South Wales State Heritage Register on 2 April 1999. The first library collections were part of the Australian Subscription Library which was started by a group of wealthy Sydney citizens in 1826. It was then purchased for £5,100 by the New South Wales Government in 1869 and became the Sydney Free Public Library. In 1895 it was renamed the Public Library of New South Wales until its most recent name change in 1975, when it became the State Library of New South Wales. The Australian Subscription Library was established in 1826 at a meeting at the Sydney Hotel chaired by barrister John Mackaness. Library membership was subject to committee approval. Dr James Mitchell, father of David Scott Mitchell (who would later bequeath his collection to the library), was a committee member from 1832 to 1853 and Vice President from 1856 to 1869. In December 1827 operations began in rented premises in Pitt Street and in the two years following, the Library led a peripatetic existence having been located a few years in George Street, Bridge Street, Macquarie Street and Macquarie Place. The library had financial problems and required more space to house its growing collections but negotiations in 1838 to construct a new library building broke down over member unwillingness to broaden access to the library. Fortunately for the members later negotiations with the government were more successful and construction of a new library building began in 1843. The foundation stone for this new building, on the corner of Bent and Macquarie Streets, was laid by Alexander Macleay and the library was opened in 1845. Financial difficulties continued, and by 1869 the subscription library was in serious debt. The New South Wales Government was persuaded to buy it for £5,100 (£1,500 for the books and £3,600 for the building). In September 1869, the Sydney Free Public Library opened its doors with a stock of 20,000 volumes. Over 60,000 people visited the library in its first year of operation as the Free Public Library. Robert Cooper Walker was appointed Principal Librarian. He, in collaboration with the Trustees (led by Charles Badham), worked to expand the educational role of the library both through collection expansion and the production of printed catalogues of the library's collection. The library expanded its operations, opening a lending branch in 1877. This lending branch was handed to the Sydney Municipal Council in 1909 and later became the City of Sydney Library. Another of Walker's initiatives was to establish services across the state, with loans to organisations including the Wollongong School of Arts and the Mechanics' Institute at Plattsburg (modern-day Wallsend) and services for regional libraries from 1883. The library's collection continued to grow, causing continual storage and overcrowding problems; new additions included a First Folio in 1885 and the papers of William Bligh in 1902. Australiana was a collecting focus for the library and David Scott Mitchell's collecting activities came to the attention of Henry Charles Lennox Anderson, Principal Librarian from 1893–1906. Anderson's stated aim of making the library 'a National, and not a Municipal, Library' led him to collect Australiana material. However, Mitchell's efforts to collect as many books and manuscripts relating to Australia, the Pacific, the East Indies and Antarctica, particularly from 1886 onwards, created competition for these materials. Anderson realised that the library did not have the budget or contacts to compete with Mitchell (from the 1880s onward, George Robertson gave Mitchell first right of refusal on Australiana material purchased by Angus & Robertson), and attempted to build a working relationship with Mitchell. In 1898, Mitchell announced his intention to leave his collection to the people of New South Wales, subject to conditions including that the collection would be known as "the Mitchell Library". Although his offer was quickly accepted, construction of a new building to house the collection was delayed for several years. Construction commenced in 1906, one year before Mitchell's death. Following Anderson's resignation in 1907, Frank Murcott Bladen (former head of the library's lending branch) was appointed Principal Librarian. In 1909, Hugh Wright was appointed to the newly created position of Mitchell Librarian; the creation of this role was another condition of Mitchell's bequest. Nita Kibble was another early member of the library staff. The Mitchell Library officially opened on 8 March 1910; Mungo MacCallum, then President of the Library Board of Trustees, spoke at the opening. The public library remained in the Bent Street building. Mitchell had not kept a catalogue of his collection, and as a result, cataloguing was an early priority for librarians in the Mitchell Library. A research department was established as part of the public library in the 1920s under the direction of Nita Kibble, while Ida Leeson as Head of Acquisitions researched gaps in the library's collections. Kibble's research department was later used as a model by other State Libraries when establishing similar services. Mitchell's bequest also included funding for collection acquisition; expanding the library's collection (particularly in the area of Australiana and Pacific material) was a priority for both Wright and William Ifould, who was appointed Principal Librarian in 1912. Ifould envisioned the library as a repository of material relating to the history of Australia, not just New South Wales, and led efforts to collect material. The library acquired the papers of Lachlan Macquarie and his family in 1914, Matthew Flinders in 1922, and Abel Tasman's journal in 1926, and after World War I collected journals of soldiers from that conflict. The Commonwealth Parliamentary Library (now the National Library of Australia), established in 1901, was also collecting Australiana material. This led to conflict over the acquisition of the papers of James Cook, which were offered at auction in London in 1923. The Trustees chose not to bid for the papers as doing so would have limited the library's Australiana acquisitions budget for several years and Ifould, already in London with hopes of purchasing the papers for the Mitchell Library, was directed instead to purchase them on behalf of the Commonwealth Parliamentary Library and the Public Library of New South Wales using funds provided by the Federal Government. 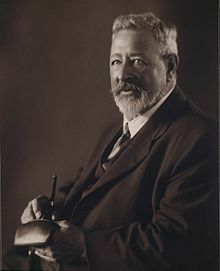 Sir William Dixson offered in 1919 to leave his collection of pictures, manuscripts and other materials relating to Australiana and the Pacific (particularly early European exploration) to the library; his offer was accepted in 1924. After a series of delays construction began on a new wing to house the collection, which was opened on 21 October 1929. Dixson was the guest of honour at the opening of an exhibition to mark the centenary of Mitchell's birth in 1936, and also paid for the bronze doors added to the Mitchell building in 1942, when extensions were added. His entire collection passed to the library after his death in 1952. Wright retired in 1932 and Ida Leeson was appointed Mitchell Librarian. In the 1930s, many women in the workforce suffered discrimination on the basis of gender, and her appointment caused controversy due to the seniority of the position as the deputy for the Principal Librarian at the time. The Library Trustees appointed a committee to consider the applicants and make an appointment. Despite the committee's support of Leeson (and general support of the Trustees for appointing the most suitable candidate regardless of gender), the Minister for Public Instruction was unwilling to approve the appointment due to the assumption that the Mitchell Librarian would deputise for the Principal Librarian and an unwillingness to see a woman in that role. A new position of Deputy Principal Librarian was created and filled by John Wallace Metcalfe, a librarian who had worked in the public library for nine years. This role would sit above the Mitchell Librarian role in the organisation's hierarchy. The decision to create it was criticised by the National Council of Women. In 1934, Ralph Munn and E.R. Pitt led an inquiry into Australian libraries. Their report contrasted the regional library network in Australia with that in the United States of America and England, and recommended that further efforts be made to establish and support regional libraries. Their recommendations included the establishment of free public libraries in every local council area; this was enshrined in the Library Act 1939, which Ifould and Metcalfe helped to draft. 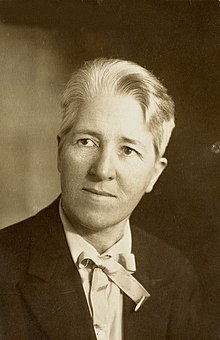 Metcalfe also founded the Australian Institute of Librarians (now the Australian Library and Information Association) in 1937, the first professional body representing librarians, and was heavily involved in the Free Library Movement in 1935. New indexes were created and cataloguing efforts continued to make the library's collections more accessible, while some books were placed on open access. The collection continued to grow. The Macarthur family papers were acquired in 1940, and in 1954 much of Miles Franklin's personal and literary papers came to the library after her death. The remaining papers from her collection were sold at auction to a private collector, and acquired 30 years later by the library. In collaboration with the State Library of Victoria and the National Library of Australia, a bibliography of sources relating to Asia and the Pacific was compiled in response to public interest sparked by World War II. John Metcalfe was appointed Principal Librarian in 1942 following Ifould's retirement. Four years later Ida Leeson also retired, and Phyllis Mander-Jones was appointed as her successor, after a short time as Deputy Mitchell Librarian. During her tenure she prepared a report comparing archival practice in Australia with other countries, and arranged the acquisition of additional papers of the Macarthur family and the New South Wales Supreme Court's early records. Metcalfe was an advocate for free public libraries and supported their establishment throughout his career. After Mander-Jones took leave in 1956, Jean Arnot was appointed Acting Mitchell Librarian. Three years later, after Metcalfe's retirement, Gordon Richardson was appointed as Principal Librarian. A series of position changes saw the Deputy Principal Librarian and Mitchell Librarians absorbed into the Principal Librarian position filled by Richardson. This situation remained until Richardson's retirement in 1973; his successor, Russell Doust, re-established the Mitchell Librarian role as a separate one and appointed Suzanne Mourot. Dorothea Mackellar's papers were acquired in 1970, and Jørn Utzon's Sydney Opera House archive in 1972. The collection expanded in a new area with an oral history project, run in 1976, interviewing past staff members. By 1978, all government archives had been moved to the State Records Authority of New South Wales (then called the Archives Authority of New South Wales), which had been established in 1960 and was housed at the library until 1978. Computer cataloguing of the library's collections began in the 1980s. The upcoming Australian Bicentenary prompted increasing public discussion about Australian society and history, and an increasing consciousness of women's history, multiculturalism in Australian society, and Indigenous Australian societies and histories. The library responded to public discussion by increasing research into Indigenous material held at the library, creating and filling identified Indigenous Services Librarians positions in 1991, and establishing an Indigenous Unit in 2013. The Rainbow Archives project was established in the 1980s, and migrants were interviewed to record oral histories for the collection. Russell Doust retired in 1987 and was succeeded by Alison Crook, who commenced in the role months before the opening of the new Macquarie Street Wing. 1988 also saw a major exhibition on the arrival of the First Fleet and the interactions of the European arrivals with the Indigenous people of the area, the Eora peoples. In 1998 the library acquired two large collections. The papers of George Bass were purchased for what was then the highest price paid at auction for manuscripts related to Australian topics. The estate of Jean Garling, author and dancer, passed to the library on her death. The library collections continue to expand, with recent acquisitions including 201 personal letters of surveyor John Septimus Roe (1797–1878) and the Edward Close sketchbook (1817–1818). In 2013 the library acquired two memorials written by Portuguese explorer Pedro Fernandes de Queirós to King Philip appealing for funding for an expedition to the fabled Terra Australis. The library holds a copy of all thirteen known surviving memorials. In early 2014 controversy erupted over proposed changes to the Mitchell Library. A petition of over 200 well-known writers and academics was soon joined by over 9,000 other library users including historians, architects, archaeologists, academics and family historians. In reply the State Librarian, Dr Alex Byrne, issued an open letter, and other writers debated the role of libraries in the digital age. In response the Library announced a restoration programme which effectively reversed the proposed changes. By the 1890s, the library was running out of space to house its collection and accommodate staff. Plans were underway for a new 'national' library building. The stimulus for this was David Scott Mitchell's offer of his extensive collection of Australiana to the people of New South Wales. The condition of his offer was that his collection be housed either in the Public Library building or in a separate new building; as there was no room in the Public Library building and no suitable building existed a new building was erected. Work on the Mitchell Building began in 1906 and finished in 1910 based on designs prepared by Walter Liberty Vernon, the Head of the Government Architect's Branch. It formerly housed the Mitchell Library reading rooms, work areas and galleries. 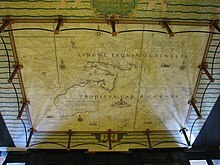 In 1939 work began on the central section of the building, including the portico, the ornate vestibule and its reproduced Tasman Map in marble mosaic and the main reading room. The building was ready to be used in June 1942 and the Library (as a whole) was under one roof. Bronze doors were presented by William Dixson and were decorated with a series of images depicting Indigenous Australian people and European explorers. In 1964, the final section of the sandstone Mitchell Wing was laid on the south east corner. This was designed by Alan Robertson from the Government Architect's Branch; one of the junior architects on the team was Andrew Andersons, who would later be principal architect for the design of the Macquarie Street Wing. Within 10 years the Library had outgrown this space too. The Mitchell Wing celebrated its centenary in 2010 and in the lead-up to its centenary (from 2001), held a series of related exhibitions and events. 20 years after the completion of the Mitchell Wing, more building took place on the site of the state library. The Dixson Wing, designed by architect Richard Macdonald Seymour Wells and completed in 1929, was added to the south side of the Mitchell Wing to provide storage and gallery space for the extensive collection of historical paintings presented to the library by Sir William Dixson. The galleries were refurbished in 1987 in preparation for the bicentennial exhibition held at the library in 1988. Further space was required for collection storage and public spaces, as well as staff work areas. Space became available south of the Mitchell Wing in the 1970s, when several buildings were demolished and Richmond Villa relocated to accommodate a new building for State Parliament, although this was initially used for temporary accommodation for parliamentary staff. Work began on the Macquarie Street Wing in 1983 and it was opened in 1988 – Australia's bicentenary — by Queen Elizabeth II in company with Prince Philip. The new building fronts Macquarie Street and links up with the Mitchell Wing above ground and below ground. Andrew Andersons of the Government Architects Office was the design architect for the Macquarie Street Wing. The Government Architects Office was again engaged in 2011 for planned renovations for the building resulting in a redesigned reading room and construction of a new learning space for education programs. Work commenced in 2011 and was completed in 2012. The State Reference Library contains a comprehensive and diverse collection of Australian and international research material. A number of specialist services are located within the State Reference Library, including the legal information service established in 1990, a drug and alcohol information service and a family history research service. The library contains over 5 million items including more than 2 million books, 1.2 million microforms, 1.1 million photographs, as well as newspapers, maps, architectural plans, manuscripts and other items. It is part of the PANDORA web archiving project of the National Library of Australia and also collects born digital material. As well as being a general purpose reference and research library, it contains many historically significant collections dating from the European colonisation of Australia, including nine of the eleven surviving First Fleet journals, accounts from Australian explorers and other pioneers, paintings and sketches, and many other historical records. These are held in the Australiana research collections known as the Mitchell Library (named for David Scott Mitchell, first collector of Australiana) which is continually being added to and the Dixson Library (named after Sir William Dixson), Dixson's personal collection which is not added to. Both are housed within the State Library precinct. The collections grow through purchase, other acquisitions of material and legal deposit for all books published in New South Wales. large photographic collections, including the UNESCO-listed collection of negatives, known as The Holtermann Collection, a collection of Frank Hurley's photographs (including images from the Imperial Trans-Antarctic Expedition), and a collection of images by Max Dupain. original manuscripts of The Man from Snowy River by Banjo Paterson and Seven Little Australians by Ethel Turner. the Tasman Map which displays Abel Tasman's two voyages to the southern ocean between 1642 and 1644.
a copy of Governor Davey's Proclamation intended to explain martial law during the conflict between Tasmanian Aborigines and European colonists. a holey dollar and dump from 1813 – both stolen with other valuable coins from a display case in August 2014 by suspects unknown. two of three surviving copies of the New South Wales General Standing Orders, the first book published in Australia. Leaves from Botany Bay used as tea by Mary Bryant. Holey dollar and dump first distinct NSW coinage. Macquarie collector's chest, constructed by Captain James Wallis. Proclamation board issued by George Arthur. Port Macquarie, New South Wales by Joseph Backler. the oldest surviving Australian photograph. Cabbage Trees near the Shoalhaven River, by Eugene von Guerard. Photos of Shackleton's expedition to Antarctica by Frank Hurley. Photos of Sydney 1916–1955 by Sam Hood. Eileen Wearne Olympic photographs and papers. Computer cataloguing commenced in the early 1980s for books, and in 1992 for pictures and manuscripts. A large cataloguing backlog of material without an electronic record prompted the library's successful 2008 application for government funding to create over one million electronic catalogue records. The library subscribes to electronic databases which are accessible for cardholders via the catalogue. The digitisation of the papers of Sir Joseph Banks, completed in 1997, was the first digitisation project of original manuscripts undertaken by the library. It was followed by further digitisation of manuscript and picture collections including the papers of Matthew Flinders, the Hood collection of photographs by Sam Hood and son Ted Hood, and the Holtermann Collection of images of the NSW goldfields of the 1860s and 1870s, which is now listed on the UNESCO Australian Memory of the World Register. Digitised images of items from the library's collection are available in the catalogue, and some are also available through thematic online exhibitions. In 2012 the library received State Government funding to digitise 12 million pages from its collection, including newspapers, manuscripts, pictures and books. As of 21 May 2018[update], the usage of publicly available data from the library collections in Wikipedia amounts to more than half a million page views. In Australia, legal deposit legislation exists at the national and state levels to support the provision of access to Australian research, heritage and culture. In New South Wales, legal deposit is required under the New South Wales Copyright Act 1879–1952, ss 5-7. The State Library of New South Wales, along with New South Wales Parliamentary Library and University of Sydney Library are entitled to "receive a copy of every book first published in New South Wales within two months of publication. 'Book' is defined in the Act as any book, newspaper, pamphlet, leaflet, music, map, chart or plan separately published and 'bound', sewed or stitched together'." Access to the library reading rooms and galleries is free. There are a range of services that are accessible via a library card including remote access to electronic resources for NSW residents, access to books and other material from storage, and bookings for onsite study rooms. The library hosts free exhibitions, both from its own collections and from other organisations such as World Press Photo. The library administers the sections of the Library Act 1939 and the Library Regulation that relate to local authorities and public libraries in New South Wales. The library provides information, professional development programs, advice and the payment of grants and subsidies to local authorities for operating New South Wales public libraries. The State Library's Public Library Services team provides a research program on behalf of public libraries in New South Wales. This covers standards and guidelines for library buildings and services, economic value studies, services and management of public libraries. The library is an agency of the Ministry of Arts in the New South Wales State Government. As at 21 March 2001, the public library of New South Wales houses a public facility initiated in 1869, and is one of the most important libraries in Australia. It was the second purpose built library and the only one remaining public library in Sydney dating from the early twentieth century. The building is still in use and has a lengthy association with several historically important persons such as Government Architect WL Vernon. It is significant for the prominent position it occupies at the termination of one of the most historically important streetscapes in Australia. The building is of aesthetic significance reflecting important stylistic influences on architecture of the twentieth century. The library is a recognised symbol in Sydney having had a long association with the provision of library services to the local and regional community of New South Wales. The building development and interior layout of the progressive stages of building reflects the changing attitudes to library planning theory. It is significant as one of the only Government buildings in the Federation Academic Classical styles. Only two of these are cultural buildings, the other being the Art Gallery of NSW. State Library of New South Wales building was listed on the New South Wales State Heritage Register on 2 April 1999 having satisfied the following criteria. The Mitchell Wing has been in continuous use as a public library since its completion in 1907. The building is the second purpose built library in Sydney, and the earliest remaining. The Mitchell Wing is specifically associated with a number of prominent Sydney residents who have acted as benefactors, llibrarians, architects and craftsmen on the building. The bequests of three people, namely Edward Wise, David Scott Mitchell and William Dixson formed the basis of the collections. The Mitchell Wing houses a unique collection of Australiana and reference material held in Trust by the State Library of New South Wales for the general public. The building is closely associated with the development of the NSW Government Architect's Office and particularly with the work of Walter Liberty Vernon, Richard McDonald Seymour Wells, Cobden Parkes and Edward Herbert Farmer. The building, as the repository of a unique collection of Australiana, is crucial to the community's sense of place. The importance of the building to the community is demonstrated in part by its completion in the early 1940s, when other public works had been severely reduced by World War II. The inclusion of the Mitchell Wing on a number of Commonwealth, State and Local heritage registers indicates the value placed on the building by the community. The original Mitchell Stack of steel and glass was regarded as highly innovative at the time of its construction. The two storey stack area is now a unique example of a highly resolved design solution addressing structure, lighting and aesthetics. The building was the first public building in New South Wales, apart from hospitals, to have been fully air conditioned. The building is a rare example of the Academic Neo Classical style used for public buildings in Sydney. It is also a rare building type within the State. ^2 : Duran Duran's photo sessions for Seven and the Ragged Tiger were held at the library in 1983. ^3 : Richardson also concurrently held the role of Deputy Principal Librarian in 1958, and was then appointed Principal Librarian in 1959. When he retired in 1973, the Mitchell Librarian position was again separated from the position of Principal Librarian. ^ a b "Copyright Act 1879 No 20". Government of New South Wales. Retrieved 30 November 2012. ^ "8. Trade and Investment, Regional Infrastructure and Services Cluster" (PDF). New South Wales Government. Retrieved 9 October 2013. ^ "State Library of NSW news". State Library of New South Wales. Retrieved 20 September 2017. ^ a b c d e f g h "History of the Library". State Library of New South Wales. Retrieved 7 February 2011. ^ a b c d e f g "State Library of NSW". New South Wales State Heritage Register. Office of Environment and Heritage. H01071. Retrieved 13 October 2018. ^ "State Library of New South Wales". www.records.nsw.gov.au. 2 April 2018. Retrieved 22 January 2019. ^ "Biography — James Mitchell". Australian Dictionary of Biography. Australian National University. Retrieved 9 May 2013. ^ a b "Biography — Robert Cooper Walker". Australian Dictionary of Biography. Australian National University. Retrieved 9 May 2013. ^ "Biography — Henry Charles Lennox Anderson". Australian Dictionary of Biography. Australian National University. Retrieved 9 May 2013. ^ a b "Biography — David Scott Mitchell". Australian Dictionary of Biography. Australian National University. Retrieved 9 May 2013. ^ a b c "David Scott Mitchell will, 14 February 1901 and codicil, 3 October 1905, office copy, being typed copy initialled and signed by W. J. Warren and D. Seddon, Clerks to Norton, Smith & Co. as being a true copy of the Original Will and Codicil, 24 July 1907". Retrieved 2 April 2014. ^ "Biography — Frank Murcott Bladen". Australian Dictionary of Biography. Australian National University. Retrieved 9 May 2013. ^ "Biography — Nita Bernice Kibble". Australian Dictionary of Biography. Australian National University. Retrieved 9 May 2013. ^ a b c "Biography — William Herbert Ifould". Australian Dictionary of Biography. Australian National University. Retrieved 9 May 2013. ^ "THE MACQUARIE PAPERS". The Sydney Morning Herald. National Library of Australia. 15 October 1913. p. 12. Retrieved 27 March 2014. ^ "Lachlan Macquarie and the Macquarie family aggregated collection of papers, pictorial and other material, 1787-1844". Catalogue. State Library of New South Wales. Retrieved 27 March 2014. ^ a b "Biography — Sir William Dixson". Australian Dictionary of Biography. Australian National University. Retrieved 9 May 2013. ^ "D. S. MITCHELL". The Sydney Morning Herald. National Library of Australia. 20 March 1936. p. 12. Retrieved 9 May 2013. ^ Frances, Raelene; Kealey, Linda; Sangster, Joan (Fall 1996). "Women and Wage Labour in Australia and Canada, 1880–1980". Labour / Le Travail. 38: 54. doi:10.2307/25144092. ^ a b c d e "Biography — John Wallace Metcalfe". Australian Dictionary of Biography. Australian National University. Retrieved 9 May 2013. ^ a b "Biography — Ida Emily Leeson". Australian Dictionary of Biography. Australian National University. Retrieved 9 May 2013. ^ "APPOINTMENTS FOR WOMEN". The Sydney Morning Herald. National Library of Australia. 7 December 1932. p. 8. Retrieved 9 May 2013. ^ "LIBRARY SYSTEMS". The Sydney Morning Herald. National Library of Australia. 22 August 1934. p. 12. Retrieved 9 May 2013. ^ Paul Brunton (2000). "Miles Franklin's Brilliant Collection". In State Library of New South Wales (ed.). Celebrating 100 Years of the Mitchell Library. Focus Publishing. ISBN 978-1-875359-66-0. ^ "Biography — Phyllis Mander-Jones". Australian Dictionary of Biography. Australian National University. Retrieved 9 May 2013. ^ "Legislation". State Records Authority of New South Wales. Government of New South Wales. Retrieved 3 April 2014. ^ "State Library of NSW appoints 'extraordinary talent' to lead Indigenous Unit". State Library of NSW. Retrieved 9 May 2013. ^ Paul Brunton (2000). "George Bass and Matthew Flinders". In State Library of New South Wales (ed.). Celebrating 100 Years of the Mitchell Library. Focus Publishing. ISBN 978-1-875359-66-0. ^ Ellis, Elizabeth (2000). "Bequests and Philanthropy". In State Library of New South Wales (ed.). Celebrating 100 Years of the Mitchell Library. Focus Publishing. ISBN 978-1-875359-66-0. ^ "Edward Charles Close — sketchbook of New South Wales views, c. 1817". State Library of New South Wales. Retrieved 4 April 2011. ^ Block, Sally (16 August 2013). "Rare documents unveiled by State Library of NSW showing Spanish quest to find Australia". ABC News. Retrieved 20 August 2013. ^ "The Spanish quest for Terra Australis". Discover Collections. State Library of New South Wales. Retrieved 20 August 2013. ^ "What is a Library without Books?". ABC News. Australia. ^ "State Library launches $25 million campaign to revitalise its iconic Mitchell building". State Library of New South Wales. Retrieved 6 March 2014. ^ "Open Letter by NSW State Librarian". ^ "Revitalising the Mitchell Library: your questions answered". State Library of New South Wales. Retrieved 6 March 2014. ^ Sadokierski, Zoe. "State libraries need our support and participation to survive". The Conversation. Retrieved 24 February 2014. ^ Farrelly, Elizabeth. "Mitchell Library malaise sign of a deeper struggle". Sydney Morning Herald. Retrieved 6 March 2014. ^ "History: Vernon, Walter". Government Architect's Office. Government of New South Wales. Archived from the original on 18 March 2012. Retrieved 6 January 2012. ^ a b c d e "Our buildings". State Library of New South Wales. Retrieved 7 February 2011. ^ "Mitchell Library Centenary". State Library of New South Wales. Archived from the original on 18 February 2011. Retrieved 7 February 2011. ^ "ONE hundred — Celebrating the centenary of the Mitchell Library". State Library of New South Wales. Retrieved 9 February 2011. ^ "News". State Library of New South Wales. Retrieved 22 February 2011. ^ "About LIAC (pdf)" (PDF). State Library of NSW. Archived from the original (PDF) on 21 April 2013. Retrieved 13 May 2013. ^ "About Us". drug info @ your library. State Library of NSW. Retrieved 13 May 2013. ^ "Library Council of NSW Annual Report 2009/10" (PDF). State Library of New South Wales. Archived from the original (PDF) on 13 March 2011. Retrieved 11 February 2011. ^ "Pandora Archives Frequently Asked Questions". Pandora Australia's Web Archive. National Library of Australia and partners. Retrieved 14 May 2013. ^ "Digital Collecting Framework". National and State Libraries Australasia. Retrieved 14 May 2013. ^ a b "Mitchell and Dixson collections". State Library of NSW. Retrieved 19 June 2013. ^ a b c National Library of Australia. "Legal Deposit requirements Australia wide". Retrieved 30 November 2012. ^ "ONE hundred — Celebrating the centenary of the Mitchell Library". Exhibition website for ONE hundred. State Library of NSW. Retrieved 29 April 2013. ^ Lachlan Macquarie (1813). Holey dollar and dump, first distinct coinage of New South Wales. State Library of New South Wales, Sydney. ^ Captain James Wallis. (1818). Macquarie Collector's Chest. State Library of New South Wales, Sydney. ^ George Arthur (1828–1830). Proclamation board issued to Aborigines by Gov. George Arthur. State Library of New South Wales, Sydney. ^ Joseph Backler (1835–1840). Port Macquarie, New South Wales. State Library of New South Wales, Sydney. ^ George Baron Goodman (1845). Dr William Bland. State Library of New South Wales, Sydney. ^ Eugene von Guerard (1860). Cabbage Trees near the Shoalhaven River. State Library of New South Wales, Sydney. ^ Frank Hurley (1915). British Imperial Trans-Antarctic Expedition, 1914-1917, Paget plates. State Library of New South Wales, Sydney. ^ Sam Hood (1930–1954). Sam Hood Photographic Collection. State Library of New South Wales, Sydney. ^ Eileen Wearne (1920–1947). Photographs and papers mainly concerning the 1932 Los Angeles Olympic Games, ca. 1920-1947. State Library of New South Wales, Sydney. ^ "About catalogues & indexes". State Library of NSW. State Library of NSW. Retrieved 10 May 2013. ^ "NSW State Library catalogue goes online". Sydney Morning Herald. Retrieved 10 May 2013. ^ "eresources". State Library of NSW. State Library of NSW. Retrieved 10 May 2013. ^ "Papers of Sir Joseph Banks — online collection". State Library of NSW. Retrieved 27 May 2013. ^ "Matthew Flinders Electronic Archive". State Library of NSW. Archived from the original on 11 October 2007. Retrieved 29 May 2013. ^ "Sam Hood : photographic collection, 1916-ca.1955". State Library of NSW catalogue. Retrieved 29 May 2013. ^ "Photography: Holtermann Collection". Discover Collections. State Library of NSW. Retrieved 29 May 2013. ^ "The Holtermann Collection: Photographs of Goldfield Towns in NSW and Victoria; Sydney and Melbourne Streets and Buildings 1872–1876". Australian Memory of the World Register. National Committee of Australia. Retrieved 29 May 2013. ^ "Discover Collections". State Library of NSW. State Library of NSW. Retrieved 10 May 2013. ^ "SCOOP: State library Delivers the news ... newspaper digitisation going viral!". Public Library Services blog. State Library of NSW. Retrieved 10 May 2013. ^ "$377 million boost to NSW arts and culture (pdf)" (PDF). Budget 12-13. NSW Government. Retrieved 10 May 2013. ^ "Digital Excellence". State Library of NSW. State Library of NSW. Retrieved 10 May 2013. ^ "Usage of collections images on Wikipidia". Retrieved 21 May 2018. ^ "eResources". State Library of New South Wales. Retrieved 16 April 2013. ^ "Sign up for a Library card". State Library of New South Wales. Retrieved 16 April 2013. ^ "Exhibitions". State Library of New South Wales. Retrieved 16 April 2013. ^ "Library Act 1939 No 40". NSW Government. Retrieved 2 May 2013. ^ "Library Regulation 2010". NSW Government. Retrieved 2 May 2013. ^ New South Wales. "Library Act 1939 No 40". Retrieved 30 November 2012. ^ "Library Act 1939, Section 7A". NSW Legislation. NSW Government. Retrieved 31 March 2013. ^ a b c d e f g h Fletcher, Brian (2007). Magnificent Obsession: the story of the Mitchell Library, Sydney. Sydney: Allen & Unwin. ISBN 978-1-74175-291-5. ^ Fletcher, B. H. "Bladen, Frank Murcott (1858–1912)". Australian Dictionary of Biography (published first in hardcopy; 2005 ed.). National Centre of Biography, Australian National University. Retrieved 20 December 2018. ^ "Retirement message from the State Librarian". State Library of NSW. Retrieved 6 September 2016. ^ "Dr John Vallance to head up the State Library" (Press release). State Library of NSW. 3 August 2017. Retrieved 20 December 2018. ^ Whitaker, Anne-Maree. 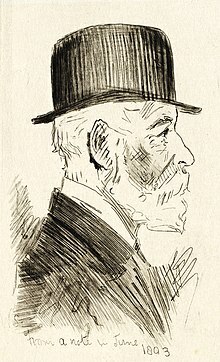 "Wright, Hugh (1868–1957)". People Australia. National Centre of Biography, Australian National University. Retrieved 20 December 2018. ^ "131500 Sydney bus timetable". NSW Government. Retrieved 16 April 2013. ^ "131500 Sydney ferries travel and service information". NSW Government. Retrieved 16 April 2013. Attraction Homepage (2007). "State Library of NSW". Graham Brooks & Associates (1997). Section 170 Register Report. Jones, David J. (1988). A Source of Inspiration and Delight. NBRS Architecture, Heritage (2016). Conservation Management Plan: Mitchell Building, State Library of NSW: Vol.1: Report. NBRS Architecture, Heritage. (2017). Conservation Management Plan: Mitchell Building, State Library of NSW: Vol.1, Report; Vol.2, Inventory Sheets. Noel Bell Ridley Smith & Partners (1999). NSW State Library Conservation Plan. Noel Bell Ridley Smith & Partners (1999). The Mitchell Wing State Library of NSW - Report on Heritage Curtilage. Noel Bell Ridley Smith & Partners Pty Ltd (2002). The Mitchell Wing State Library of NSW Conservation Plan. Tourism NSW (2007). "State Library of New South Wales". This Wikipedia article contains material from State Library of NSW, entry number 1071 in the New South Wales State Heritage Register published by the State of New South Wales and Office of Environment and Heritage 2018 under CC-BY 4.0 licence, accessed on 13 October 2018. Wikimedia Commons has media related to State Library of New South Wales. ONE hundred – Celebrating the anniversary of the Mitchell Library, the website for the major showcase exhibition at the Mitchell Library, celebrating its centenary during 2010.